Pirelli The Cal 2019 - Dreaming - is a journey into the dreams of women who live their time and who through some "still image" of their lives show the very essence of their dreams. "Forty colour and black and white shots in 16:9 format inspired by Albert Watson's great passion for cinema" that radically shift the attention from the characters to the stories themselves, making them splendid and formidable actors in a much more elaborate project, which deeply touches for its narrative effectiveness. Beauty Shots #11 - The Crowd I Roland-Garros 2018. Our 11th numero of beauty shots is about the crowd here at Roland Garros. Visit Roland Garros' official website: http://rg.fr/RGweb Subscribe to our channel: http://rg.fr/ytrgin Follow us! 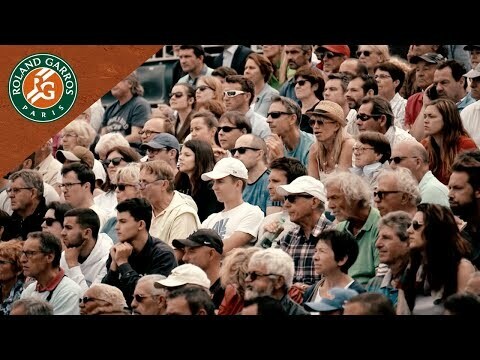 Facebook: http://rg.fr/FBRolGa Twitter: http://rg.fr/Twrolg Instagram: http://rg.fr/instRG This is the official YouTube Channel of Roland Garros, home of the French Open. The tournament 2018 will run from 21 May - 10 June. E’ stato presentato al Manhattan Center di New York il Calendario Pirelli 2018 realizzato da Tim Walker. Per la 45esima edizione del Calendario, scattata a Londra lo scorso maggio, il fotografo britannico ha utilizzato il suo inconfondibile stile, fatto di scenografie fuori dal comune e motivi romantici, per ‘rivisitare’ una delle storie più classiche della letteratura anglosassone: quella di Le avventure di Alice nel Paese delle Meraviglie.